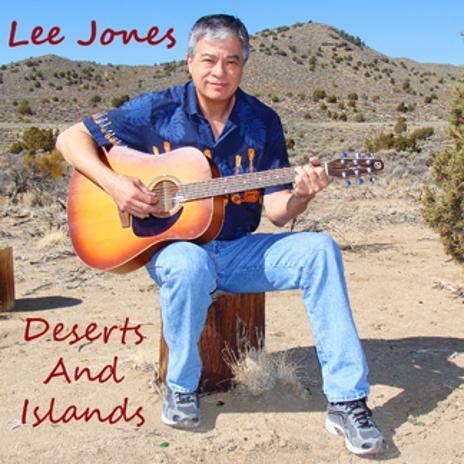 This is another new CD, this is titled, "Deserts And Islands". This is a collection of original acoustic instrumentals. Kinda folky, kinda country, kinda island-ish, and kinda bluegrass-ish. Some of the featured instruments are: Classical guitar, acoustic steel string guitar, ukulele, banjo, harmonica, cajon. This collection includes 14 of my original compositions. It's acoustic and organic. One of my passions is playing different instruments, and I get to do that on this CD. Growing up in Hawaii, my first instrument was the ukulele, which I started playing around with when I was 12. We played everything on the uke, stuff that was on the mainstream radio stations at the time - Creedence, Beatles, Santana, along with Hawaiian music, and even some soft, easy listening music, stuff like, "Put A Little Love In Your Heart", "Blue Darling", "Blue, Blue, My Love Is True", stuff like that. Once I got into my first band at 13 years old, I was hooked. I went from playing light Rock And Roll - Creedence, Eagles, Allman Brothers, Jimmy Buffet, Marshall Tucker; to Outlaw Country all through the 80s; then to traditional Hawaiian all through the 90s - all with my own bands. In the early 2000s, I started doing a solo, doing a combination of all the musics I'd played up until then. Along the way, I started to record in my little home studio - recording seven CDs over a period of about five years. Here more recently, I started appreciating acoustic music. This is my second CD in the past six months, the previous one was about 75% songs with words, and 25% acoustic instrumentals. This one is all acoustic instrumentals - all composed by the kid from Kaimuki (that's me). I learned to play ten instruments along the way, and I've loved every minute - including the times when I was tripping and stumbling all over them, and while they were beating the daylights out of me. Being able to record in my own studio was a whole 'nother learning experience. I spent my share of time in commerical studios all over the country, being a pest by asking silly questions. Being a studio engineer is not just a matter of turning knobs and pushing faders until you get something that sounds passable - there is actually a method of doing it so that the final product is listenable. These last two CDs are where I'm at now, it's an endless journey that I'm enjoying more than I could have ever imagined.